It has been a miserable weekend here in Niseko with constant rain and cold temperatures…15 yesterday and 14 today! Here is a little pow wow selfie day dream from February this year. This last season it was an absolute pleasure shooting with the Go Pro 5. After shooting with all of the Go Pro’s over the years the Go Pro 5 is amazing . The Go Pro 5 doesn’t require a case as the unit it 100% waterproof so instantly the sound comes into play. Previously as the camera’s were housed in waterproof cases and the sound was terrible and unusable 99% of the time. With the Go Pro 5 it was brilliant to actually hear what the snow was doing. Which lead’s us to the title of his blog post: Was it bottomless? On this day… it almost was. You can hear the snowboard touching the bottom through some of the turns where as in others there is very little sound….the sweet sound of a bottomless pow turn! Pow Hacking, 25 February 2017 from 360niseko on Vimeo. One touch recording. Press the record button and the camera will turn on and start recording instantaneously with beeps to let you know it is working. No more fiddling around with the unit to turn it on as with every other Go Pro. Also switches off when you press to stop recording. Built-in Screen Brilliant screen to easily review shots and get framing right and also a great touch screen to adjust video/camera settings. Great Battery Life Every other Go Pro we have used has required lot’s of assistance to remain usable in winter with heat packs, spare batteries, taking the camera off and putting it in a internal pocket when on lifts etc which is alway really annoying. 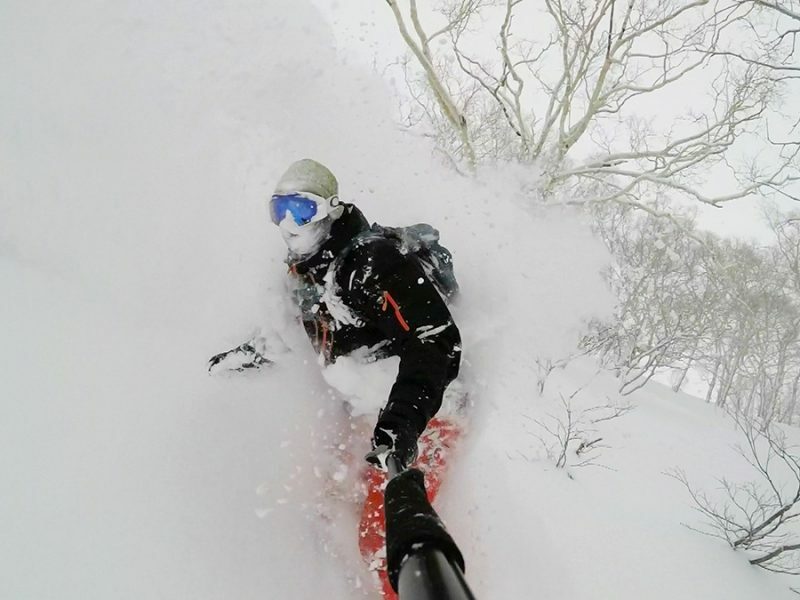 The Go Pro 5’s battery was epic in comparison with a much longer battery like in the harsh Niseko winter. Also, if you did have to change a battery it wasn’t an issue as with no case there was no worries about getting snow in the case and condensation forming between the case and camera lens.